So I bought these cartridges off of a guy on Ebay, who had bought it from Youtube Channel bgP (Who is the person who recorded the clip below). 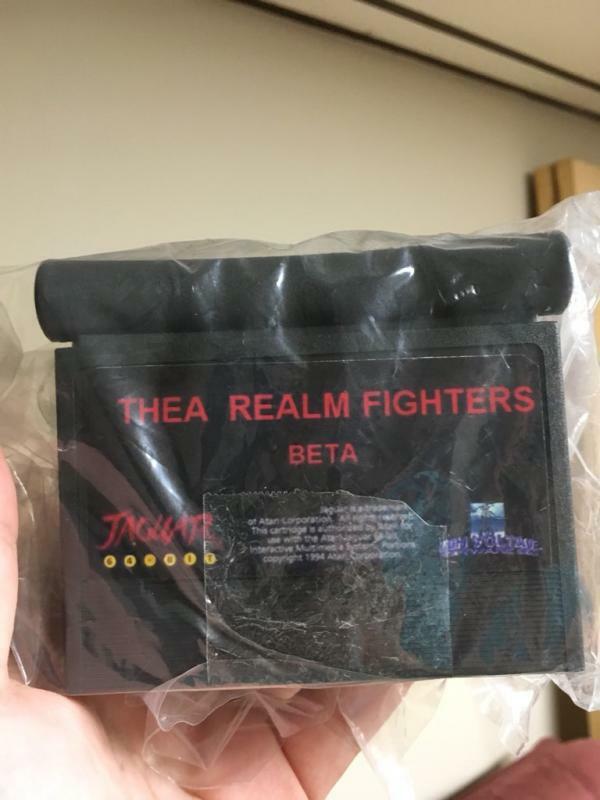 They are for a Canceled Atari Jaguar Fighting Game called "Thea Realm Fighters". It was a 1v1 Fighter which used digitized actors. Some of the Actors include Mortal Kombat Veterans such as Daniel Pesina (Johnny Cage, Scorpion, Sub Zero etc.) and Ho Sung Zak (Liu Kang). I haven't been able to play them Yet because I don't own a working Jaguar, but I hope to get one and try these out. I have a Test Cartridge, and Alpha Cartridge and a Beta Cartridge. The game was about 95% complete until the project was canceled when Atari ceased supporting the Jaguar. Here are some gameplay clips. Let me know if you have any concerns or comments. I'd also appreciate it if someone could help me with acquiring a working Jaguar with two controllers (Also Kasumi Ninja, Ultra Vortek and Atari Karts). Edited by Micshork, Sun Sep 30, 2018 6:35 PM. I think these are on line for download for free, I could be wrong. 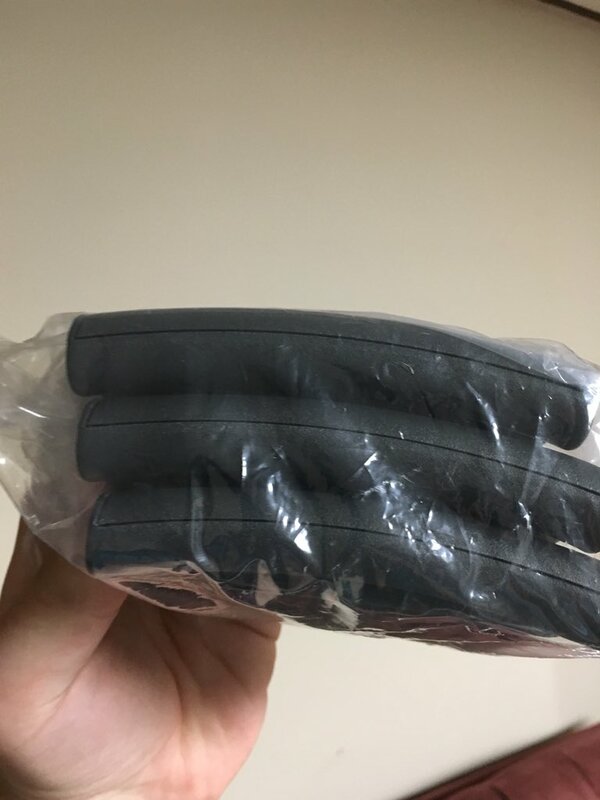 These are always available on ebay and always listed so I hope you didn't pay more than $30 per cartridge for them as they are on ebay for that price for anyone who ever wants them. I always like to do at least a little reading in a forum before making my first post, especially one that's focused on something I'm obviously new at. That said, welcome aboard and dig in. There's good info to be found. So how much did you overpay? Its always great seeing these pop up on eBay and it's awesome that Nick was able to bring this game to the light of day. When you do get your working Jaguar you will find that this is a work in progress game that is pretty much 2 player only, but if you have another person to play with this might be ok with you. To anyone else who is interested and may be attending eJagfest this year remember you can always stop by Nick's table and he will cook you up a custom cart of this. What is the most complete version of this? The video posted above of the Beta seems to let you choose other characters. I have a beta of this and it won't do that. But maybe it needs to have a second controller plugged in to change that option. Maybe there is more than 1 version of the "beta"
If only Capcom would have made some Jaguar games. Well, if we're going to daydream? Seeing Konami, Taito or Irem games would have been killer! I don't like the animations of a connected "hit". It seems to have been a trend, having these animations to illustrate every connected punch or kick. Another game that does this is Breakout 2000, which would look much better without the goofy "hit" graphics every time the ball touches the wall. Perhaps these animations could be toned down to be much more subtle. I'm guessing the OP got shafted on price. Seeing some funny things on K model Jags with the beta rom. The fighter sprites jump up to the top 3rd of the screen. Can anyone confirm? Ive got a M model I think. Ive never seen this happen. Those carts have nice labels. I've seen copies of these sold on Ebay with some crappy labels. The sprite jump glitch happens on my machine. Pretty sure mine is a K model. They were. No need to pay for them. Put on skunkboard or make your own cart.